If you are like most, you feel like a Basket Case when first confronted by infidelity in your marriage or relationship. And, you typically engage in the 6 Killer Mistakes that Most Make that are Guaranteed to Prolong the Affair and Your Misery that I outline. It is crucial that you address your Basketcaseitis before you can effectively confront the affair. Using any type of strategy while in the Basketcase Mode will be interpreted, most likely, by your cheating spouse as manipulation. S/he will more likely feel pity, rage and/or resentment toward you rather than positive feelings if your neediness blasts front and center. So, the ultimate question: How do you extricate yourself from the Basketcase Mode? I will show you how that happens. And, it can happen faster than you possibly thought. Those who’ve poured over parts of my material email within a couple hours uttering profound thanks for the new peace and relief they feel. It does happen. To move from the Basketcase Mode, I’ve discovered 4 shifts that must take place. 1. First, you must forget all you have ever learned about infidelity. 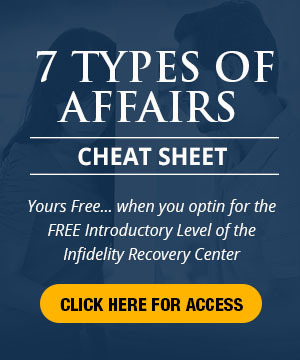 Now, you probably haven’t formally had training on the dynamics of infidelity, (not much exists) but informally through television, romantic novels, tabloids, gossip and movies, you picked up on powerful assumptions about infidelity and affairs. And 90% of these assumptions are dead wrong. Not only are they dead wrong, they are deadly. 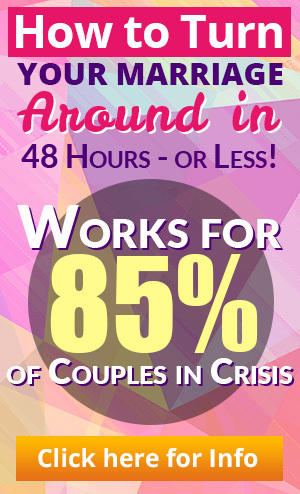 You will learn more about the myths in “Break Free from the Affair” and by blog posts. 2. You must come to the conclusion that the infidelity or affair is his/her problem. YOU don’t have the problem. Your cheating spouse does. Very very very very few affair relationships ever become healthy. Your cheating spouse’s life is going down the tubes. And, there are very specific reasons why it’s not your life, but his/hers that is gravely at risk. 3. You must be able to stand back and see the motives and reasons for his/her temporary insanity. And, there are reasons. Affairs just don’t happen and emerge out of thin air. Lifelong patterns, in some cases, almost guarantee an affair, an affair that had its seeds long before s/he met you. 4. You must move out of the victim role and assume your personal power. This is not as difficult as it may seem. Once the top three conditions are met you will feel your power. You will know your power. I want for you to hold your head high and be able to confront in a powerful manner (using charging neutral, a skill I teach) your cheating spouse, look him/her square in the eye, so that s/he is the first one to blink. This entry was posted in Charging Neutral, Emotional Infidelity, Infidelity Marriage, Infidelity Reasons, Marital Crisis and Self Esteem, Surviving Infidelity and tagged cheating spouse, deal with infidelity, infidelity and self esteem. Bookmark the permalink. I wish I would of read this earlier, it would have saved my sanity and self esteem. I have a question about my husband’s affair. I am not sure I know his reasons completely or what kind of affair this is. I do think he has insecurities, and he has a lack of male friends that he confides in or spends time with. He always looked at me for his happiness and security I guess – although he would deny that. He says I made him feel unappreciated, I wasn’t affectionate and I was negative. Those are his main reasons. I do have to explain that we have raised two sons with special needs over the years. My oldest son was diagnosed with ADHD and now that he is older we were told there is a 60 percent chance he has Bipolar. I also see signs of the Autism Spectrum, although he was never diagnosed – I just see the relationship/social interaction issues. He is now 22. My 14 year old son is on the spectrum -Asperger – and he has Becker Muscular Dystrophy as well. Both had or have IEP’s. My husband has traveled on his job for the past 7 years. I tried to support it as best as I could, but with three boys – between sports, school, homework, the house, pets, working part time and everything else – it just took its tool on me. I did not have much support because both of our parents were in other states. He got a good job in Nashville with zero travel. He kept telling me we would work on the marriage as soon as he got home, but I later found receipts showing he filed for divorce the Monday after he received the job offer. Then he never told me he filed until a month after he met with his attorney. It hurt me tremendously. I trusted him completely. I discovered not only an affair with a 24, now 25 year old – he is 43 and I am 45 – but I found out over Christmas she is pregnant. He does not know I know all of this. I am so hurt and I don’t know how to let go of this pain. Our son with MD broke his leg over the summer (he had a spiral fracture to his left femur and was in the hospital for 3-4 days.) I thought my husband was so busy and stressed with work so when my parents volunteered to come out and help me I let them. It breaks my heart to know he was staying away so much to be with this girl. I am not trying to be mean – this information came from my PI – that she is not attractive at all. I don’t know what to do sometimes. I am going through with the divorce because I feel like he wants to be free of me. Yet he has been holding off on turning his financial information over to his attorney – he just did it January 12th after I told him he was the one who wanted this divorce so get his stuff together and get it to his attorney. My attorney told me he was the holdup. He also tries to act like things are normal when he is home. That may be for the kids. What do I do here? He is not a good man. He acted very cold and mean to me after hitting me with divorce. Even at one point asked me if I needed a bozo button when I was trying to talk with him about counseling. He told me he couldn’t stomach the thought of growing old with me, I was so negative that I sucked the oxygen out of a room when I walked into it (my closest friends do not see this at all in me), I didn’t have any hobbies – I wasn’t interesting (she paints – but she didn’t work part time and have three kids), he would tell me I was the perpetual child, and he would use the kids in ways to hurt me – which ultimately ended up in me being arrested because my ring left a little red mark on his chin when I swatted at him because I thought he was moving at me when we argued after my 10 year old told me Dad didn’t take them to a particular place I asked him not to at least 4 times to hurt me. My attorneys feel he was baiting me. I don’t know. I do wonder now as well if he was cheating on me even before this girl being he traveled 100 percent for about the past 3-4 years. I do still love him , but he is not healthy for me. I sometimes think he is a bit of a narcissist because he always had little empathy for me and chose to be away from us. He could have gotten a job near home to be with the boys and me years ago, especially if he thought our marriage was in this much trouble, but didn’t bother until he needed a divorce. He has told me for years that he wanted me to change, and last September he decided it was unfair for him to ask that of me anymore. My frustration was my plate was so full – I was just keeping my head above water – and he was wanting me to work on myself. I asked my counselor what was wrong with me in the first place and why did he ever marry me wanting to change me. Do you have any suggestions on how I deal with all of these emotions I feel, and is there anything left in this marriage to save if he changed his mind or am I best to move on? I always thought we were going to be a team with our son. He will most likely be in a wheelchair by his 20s to 30s and already is on heart medication. cheryl, he definitely has a problem in himself. he is a narsistic that think he deserve better because he thinks he is good. whatever you do will never be enough for him. save yourself from the misery and go on with the divorce. I don’t understand these articles from Dr. Huzienga. They usually say to stop chasing your unfaithful spouse, start working on yourself, and don’t blame yourself. From all I’ve seen this is exactly what the betrayed do already. I’ve been to infidelity groups in person and online and the betrayed women, including me, all kick our husband’s out, work on ourselves, definitely don’t blame ourselves for our husband’s choices, and only decide to let him back in when he does the work on himself. I have not seen many women who blame themselves, but this seems to be your advice?? 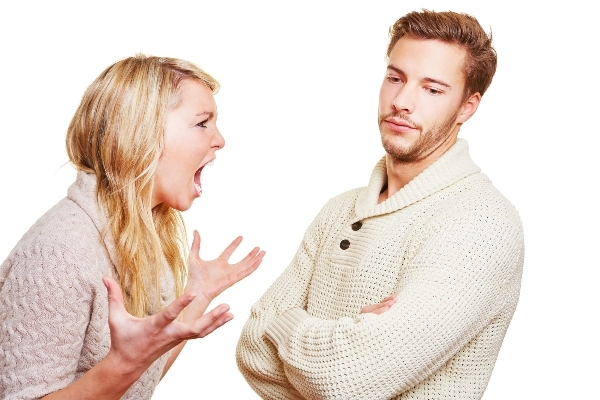 The advice is not to use ultimatums (unless of violence) or to withdraw; not react but charge neutral – stating your position forcefully with understanding.